I’ve always enjoyed the music of Rod Stewart and I’d love to see the man himself in concert one day. In the meantime though I’ll happily settle for a good tribute act. I’ve been to see The Rod Stewart Experience twice now and thoroughly enjoyed both occasions. Garry Pease really does look the part as Rod Stewart. He has the hair (real too and not a wig) plus the looks, obviously he’s got the outfits too, so it’s easy to think it’s really Rod Stewart at a glance. Whilst a tribute act that looks the part really helps with the whole make-believe experience, it’s all for nothing if there’s no substance there. In this case that means being able to sing like Rod Stewart. This isn’t so easy to achieve. As we all know Rod Stewart has a very distinctive, husky, raspy voice. Rod’s songs and performances are so well-known that it’s not just die-hard fans that would be able to pick out any holes in the act. It’s very difficult to fault Garry’s performance and he even repeats many of Rod’s trademark moves or performance quirks, like encouraging the audience to join in during I don’t want to talk about it. Just in case you were in any doubt, just about everyone was singing along. There’s no live band though, only backing tracks for The Rod Stewart Experience. Whilst this would take something away in a big venue, it doesn’t really cause a problem on a smaller stage as to be honest I think a big band would just prove a distraction from the main event which is Rod and his songs. He’s a solo performer after all so it makes sense. 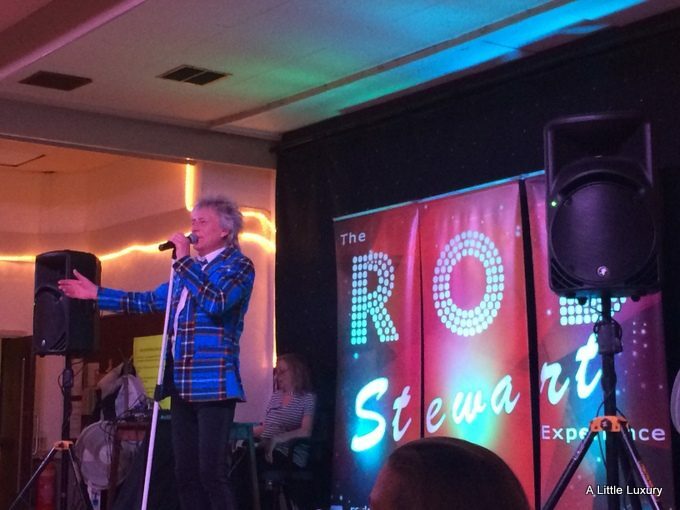 Overall I’d recommend going along to see The Rod Stewart Experience if you have the opportunity. If you enjoy the music of Rod Stewart you’ll have a good night out.